I can’t even begin to tell you how excited I am to share my LIIFT4 results with you…its crazy how fast the 8 weeks of the program went! I loved that the workouts were less than 45 minutes each…most just 30-35 and that there were only 4 days that I HAD to workout to follow the program! The other days I could do stretching, yoga, running or other non weight lifting or HIIT (high intensity cardio training) workouts! In the 8 weeks…I lost 5 pound and 7.25 inches! I followed the nutrition program about 90% of the time but did have a few extra “treats” if you will! Here’s a quick video about the LIIFT4 program! Get strong and lean in just 4 days a week — Super Trainer Joel Freeman is about to unleash one of the biggest fitness programs of 2018 that will get you building lean muscle and burning a ton of calories. The moves are based on classic lifting techniques that let you isolate, stabilize, and focus each rep on the muscle group you’re working. Every workout ends with a quick core routine for a full-body build and burn that leaves you shredded. There are no gimmicky moves, no overly complicated routines, and no opportunity for boredom because you’ll do all 32 workouts of the program in real time with Joel and the cast, never doing the same workout twice! Go grab some weights (light, medium and heavy if you have them), a mat and play the video below!! Can’t wait to hear what you thought! I’m so excited about this program, I decided to do it all over again from the beginning! 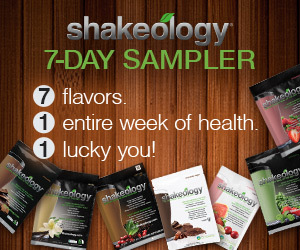 So, if you’re ready to take on this 8 week challenge with me…drop your info below! I have a new group starting up on October 1st!!! If you’re already a Beachbody on Demand member (and one of my existing customers)…you can jump into my next group for FREE. If not, no worries at all! if We can get you set up with access within 24 hours with one of our Challenge pack bundles! This entry was posted in Fitness Journey and tagged FItness, fitness journey, healthy lifestyle, Lifestyle, LIIFT4, Motivation. Bookmark the permalink.